Spotify’s chief financial officer Barry McCarthy delivered a blunt rejoinder to a question about the threat posed by big-tech rivals like Apple, during his interview at Goldman Sachs’ Communacopia conference on Friday. “I don’t think anybody is making a bigger investment in tech required to be successful in our business than we are,” he said, before talking about the time, in his previous job at Netflix, when an announcement that Wal-Mart was getting into online video sent Netflix’s share-price plummeting. McCarthy also jabbed at Amazon – “They don’t really care how engaged you are in the music service as long as you become a Prime subscriber… If all you care about is price, you don’t really care about the music, they probably look like a pretty good value proposition to you” – and suggested that smaller music-streaming services face a murky future. “It’s fair to say at this point, if you’re relatively small and undercapitalised, it’s kinda game over for you. Even if you haven’t figured it out yet. It’s a scale business,” he said. :: McCarthy pitched for freemium streaming to kill broadcast radio. “The 20-year trend here is linear dies, everything on-demand wins. Instead of free / paid, it’s paid plus free, and free eats broadcast radio… I don’t know what happens to news and I don’t know what happens to sports, but for sure, the combination of your phone plus a voice-activated interface enables the car, and the car is the principal user experience for broadcast radio. 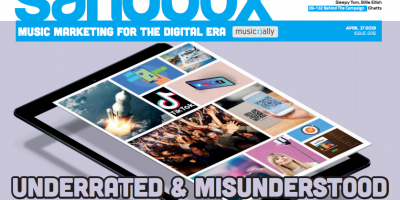 Broadcast radio, SiriusXM are extremely threatened by the growth and evolution of streaming services.” He later described streaming as an “existential threat” to SiriusXM.